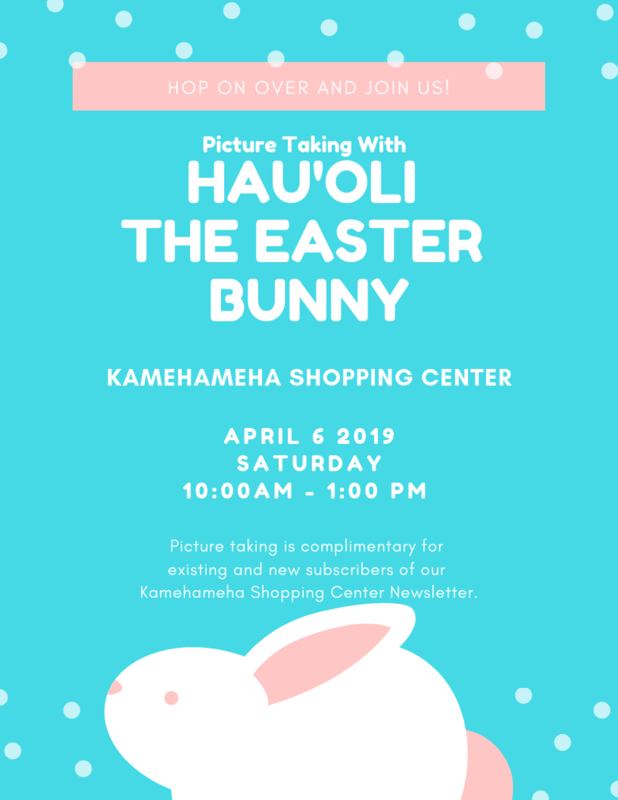 Join us on Saturday April 6, 2019 to snap a photo with the newest member to our Kamehameha Shopping Center squad — Hau’oli The Easter Bunny! This will be his first appearance at our Center and we can’t wait for you to meet him! Picture taking will be complimentary for existing and new subscribers to our newsletter. Not subscribed yet? ‘A’ole Pilika (no problem,) click here to sign up. You’ll get updates on the newest happenings at Kamehameha Shopping Center and access to events just like this one.